During the live radio discussion, Hon Rwabuhinga further indicated how a lot of lobbying has been done for different health centers, so as to create better services closer to the local citizens. “Different Health Center IIs have been promoted to Health Center IIIs such as Nyantabooma, Kakinga, and Nyabuswa. We have also built Health Center IIs in places like Nyamiseke, Kiboota, Nyakitokole, Kirere, Kasesenge, among others. However, these health centers still lack staff quarters, but we are still lobbying to see that they are also constructed”. The live radio discussion was also attended by Dr. Obedi Moses, the District Health Officer of Kabarole who indicated the common diseases affecting Kabarole District. 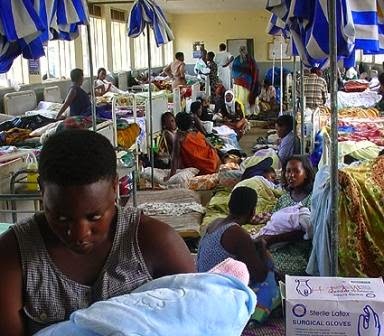 “There are top ten causes of sickness that have affected the people of Kabarole, malaria being the most common at 28.5%, pneumonia at 10%, diarrhea at 3.5%, skin diseases at 18% and others at 2.7%. We are encouraging the community to sleep under mosquito nets so as to reduce malaria cases”. Local listeners also participated in the live radio discussion through call ins to raise their issues and concerns. “VHT(Voluntary Health Teams) are helping a lot yet they are not given any support”, said Asiimwe from Nyantabooma Parish in Kicwamba Sub County, “We have a problem of bilharzias in Nyabweya Parish that is being caused by the poor water”, said Ruta Kenneth from Kasenda Sub County, “Services in our health centers are so poor with a lot of medicine stock outs”, said Amanyire from Kyenjojo District, “We are told to buy medicine even when we visit Buhinga Referral Hospital”, said Samalie from Fort Portal Municipality. The live radio discussion was moderated by Mr. Kasigazi Willy Donanto and issupported by SIDA/CIPESA and SPIDER/Stockholm University on a project aimed at using appropriate ICT tools to promote democratic engagement in the Rwenzori Region, Western Uganda.